Donna, being more of a leader, formed her own group that she named after a verse in the Bible, “Chapter IV.” They soon began to play seven nights a week. Her one-night performances took her all over Louisiana, parts of Texas, New Mexico and Alabama. She experienced some problems with bass players so she mastered the instrument and has been playing the bass ever since. Along the way she had the pleasure of playing bass for artists Barbara Lynn and Archie Bell. Just as things were going well, Donna was involved in a car accident which kept her out of the music business for several years. 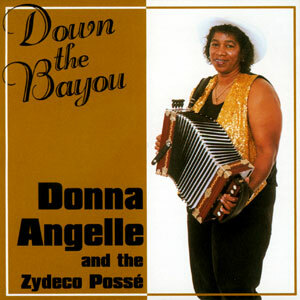 Then in 1994, with a strong desire to continue her musical career, Donna formed another band, this time featuring a variety of Zydeco, Oldie Soul and Hip-Hop.